Unlike other trainers in Manchester, NH, my obedience and behavior modification classes are done in the comfort of your home customized to you and your puppy/dog’s needs. In my classes, I use positive reinforcement to encourage your dog/puppy to learn. I average 2 hours per session to ensure results the first day and to leave time to answer any questions or concerns. For over 12 years now, I have helped owners of many breeds in and around Manchester, NH bond with their canine companion. 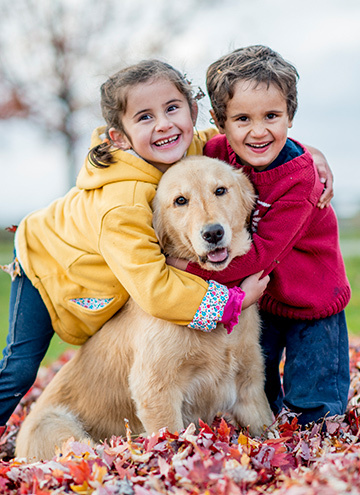 I believe every puppy or dog can be a well-behaved, happy member of the family with the right training, teaching, and guidance. I have worked with puppies starting at 10 weeks and dogs as old as 12 years. Most trainers around Manchester, NH only give you 1 hour per week. My classes average 2 -3 hours per week to ensure both you and your dog/puppy retain the lessons. That’s up to 15 hours of one-on-one tutelage! Obedience training comes with a “Limited Lifetime Guarantee”! Does your dog/puppy run away when you call? Does he chase after small animals, bikes, or other people? Is your puppy overly excited or hyper, jump on people and go totally out of control? These are just some of the common behavioral and obedience problems most dog owners encounter. Don’t let your beloved pet be an embarrassment to you and your family. 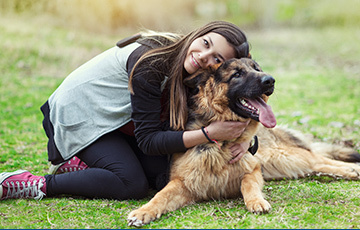 In these tough situations, it’s best to hire a professional certified trainer who conducts customized obedience and behavior modification classes that will target your pet’s specific problems. Make Your Dog Happy is dog training with a difference. Experience the difference! In-Home obedience training classes for you and your dog is my specialty. Most trainers may just give you an hour of training per week. I give you the extra time to really make a difference, averaging 2-3 hours per session. With Make Your Dog Happy you will get customized, one-on-one obedience/behavior training designed for your dog’s specific needs. 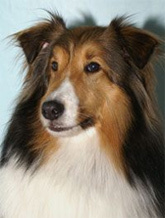 Trust in Make Your Dog Happy for dog training lessons that fetch effectiveness and affordability. Every dog is different, so I have a varied approach and always adjust to the needs of your dog and how he/she responds to training. 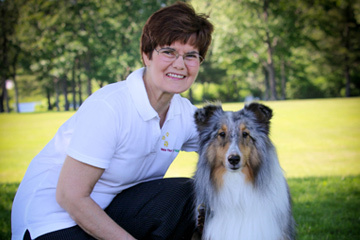 Unlike other dog trainers, my obedience and behavior modification classes are done in the comfort of your home. I use positive reinforcement to encourage your dog/puppy to learn. I average 2 or more hours per session to ensure results the first day and to leave time to answer any questions or concerns. Serving: Manchester, Hooksett, Candia, Auburn, Derry, Londonderry, Bedford, Suncook, Nashua, Concord, and Deerfield, Hopkinton, Hudson, Epping, Windham, and more..
Make Your Dog Happy! Contact me today! February 4, 2003 – April 26, 2012 May you play to your hearts content. May you get all the treats you desire. May you rest in a warm cozy bed. Until we meet over the Rainbow Bridge, I will miss you. Copyright © 2019 Make Your Dog Happy. All rights reserved. Web Hosting and Design by InMotion Hosting.